Blurb Description: She's tall, beautiful and one of Bollywood's leading ladies.He's goofy, loves to wear outlandish clothes and is constantly getting into trouble with reporters.When Vicky Behl and Kritika Vadukut meet on the sets of the period drama Ranjha Ranjha, everyone agrees they have serious chemistry--not just on screen. 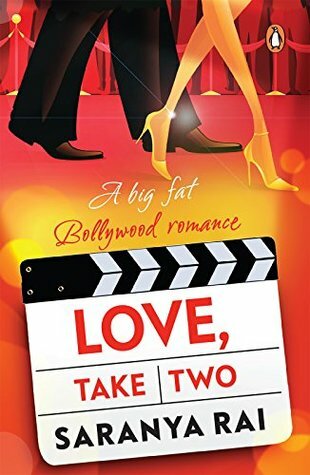 But after her devastating breakup with Raunak Rajput, Kritika doesn't know if she can handle being with a Bollywood actor. If only Vicky wasn't so damn charming . . .Will the pressure and scrutiny of Bollywood allow them to live happily ever? Which is why, when a lovely PRH India editor pitched me this book, I knew I HAD to read it. It sounded like so many books I’ve loved and I dove into it almost immediately after I received it! 1. Honestly, Love, Take Two was a CUTE ENOUGH book. It had some chemistry filled moments, some elements of family and friendship and, of course, Bollywood, but I didn’t find it exceptional. from the bottom of my heart. They just seemed like fictional characters on a page, not the realistic people filled with passion and hilarity and misunderstandings that I was expecting. 3. I also really liked that there were OTHER romances happening simultaneously, and I hope we see spin-offs or sequels surrounding Arun and Sudarshana and Mini and Jahan. Especially Mini and Jahan, because they seem SO CUTE. Would I recommend this book? 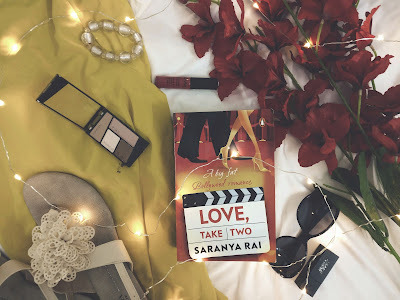 It’s a book you’ll probably read only once, but if you love Indian romances, then you should pick it up. Saranya Rai spent most of her impressionable childhood binge-watching Hindi serials, reading romance novels despite her mother's warnings and absorbing everything Bollywood through film magazines, late-night talk shows, the radio and, later, the Internet. She is now a reasonably well-adjusted adult, still heavily invested in pop culture. What are some of your favourite romance tropes? I'd absolutely love any rom-com recommendations you might have!